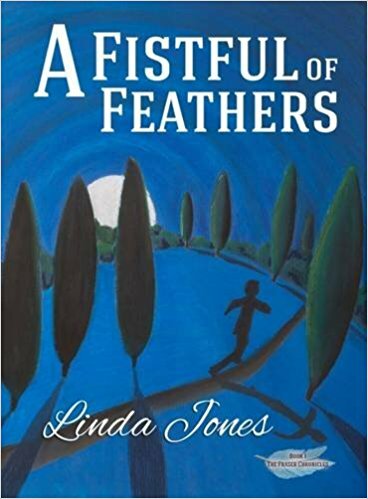 ‘A Fistful of Feathers’ is Linda Jones’ debut children’s novel. Thirteen year old hero Jo is an orphan who has been raised by a series of unpleasant foster families under the pay of the sinister Dr Bowden. Jo has a mysterious and painful growth on his neck that slips down to his back, causing him even greater agony. This is when his unhappy life takes a sudden turn. Aided by a school friend Dan, he manages to run away from his awful foster parents and the clutches of Dr Bowden. This is when his real story begins and when his life truly begins to unfold. This is a gripping page-turner of a book. The tension is effectively maintained with short chapters, which also will make it is easier for younger children. This is a thriller written for children with interesting twists that children 10+ would enjoy as well as Young Adults. There is death and danger aplenty as Jo struggles to keep hidden from Dr Bowden’s henchmen. However it is also an uplifting tale of friendship, as Jo’s new friends help him to discover at last how to be a normal teenage boy. Well, as normal as a boy can be with giant wings growing out of his back. Jo demonstrates a great deal of courage, particularly in the early part of the book when he struggles to survive alone with very little money and supplies and at the same time having to deal with terrible pain. He is unaware at this stage what the mysterious growth actually is. That fact is revealed to him by Dan’s startled father. At this point in the story Jo finds himself in a strange position. He is surrounded by people that care about him and want to protect him, which is something he has never experienced before. His wonderful friend Dan, who has all the characteristics of a normal teenage boy, helps Jo to accept his strange affliction. The Fraser family soon have Jo fully under their care and Jo grows in confidence. They journey to Scotland, ostensibly as part of a youth club trip to a Judo competition. However Jo’s enemies are never far behind. It is a case of teenage children outwitting dangerous criminals and it all leads up to a satisfying climax. Linda also loves writing poetry. She likes to perform ‘story poems’ in front of schools and youth groups. 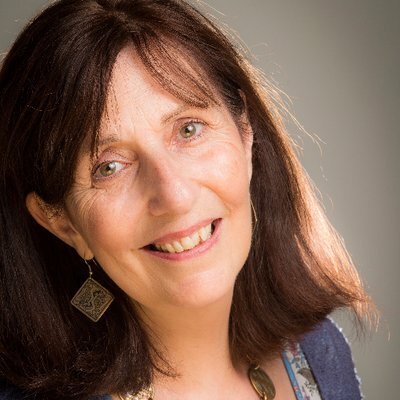 Two of her favourite story poems that she has composed recently are ‘The cupboard under the stairs’, and ‘The day the sun exploded’.